I've been meaning to do this post but not sure if it's necessary. I'm not sure if anyone reads my blog anymore but if no one does well it still serves as a keepsake for me on all things I love and done in the past. I'm not sure I'm ready to bid 2015 goodbye just yet. 2015 was a roller coaster ride for me. It has it's ups and downs, both a mix of accomplishments and threats but as the year comes to an end, it all seems to turn out well. It scares me what me 2016 would bring but I'm ready to start a new and face new challenges and focus my mind on accomplishing goals I have set out a long time ago. While browsing through Pinterest, I saw this and I thought it would be a good way to wrap up the year and look forward to a new one. 1. My biggest accomplishment - I managed to get into an MNC. 2. My nicest memory - Spending Christmas with my family after 6 years. 3. My most beneficial experience - Getting retrench turns out to be a bridge for a better one. 5. My biggest challenge - Looking for a new job. 6. I learnt - To always trust your faith in Him. Always. 8. I failed in - Accomplishing some goals like reading list. Whew! That was a lot wasn't it and I haven't even covered it all. There are things I'd rather keep for myself but for the most part these are the major events that has happened. 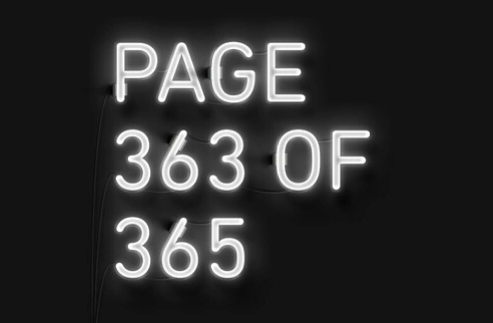 Let's see where 2016 would bring me and I hope it would be a good one.